If so be ye have tasted that YAHUAH is gracious. 4 To whom coming, as unto a living stone, disallowed indeed of men, but chosen of ELOHIYM, and precious, 5 Ye also, as lively stones, are built up a spiritual house, a holy priesthood, to offer up spiritual sacrifices, acceptable to ELOHIYM by YAHUSHA HAMASHIACH. 6 Wherefore also it is contained in the Scripture, Behold, I lay in Tsiyon a chief corner stone, elect, precious: and he that believes on him shall not be confounded. 7 Unto you therefore which believe he is precious: but unto them which be disobedient, the stone which the builders disallowed, the same is made the head of the corner, 8 And a stone of stumbling, and a rock of offence, even to them which stumble at the word, being disobedient: whereunto also they were appointed. For YAHUAH spoke thus to me with a strong hand, and instructed me that I should not walk in the way of this people, saying, 12 Say ye not, A confederacy, to all them to whom this people shall say, A confederacy; neither fear ye their fear, nor be afraid. 13 Sanctify את (eth)-YAHUAH TSEVA’OT himself; and let him be your fear, and let him be your dread. 14 And he shall be for a sanctuary; but for a stone of stumbling and for a rock of offence to both the houses of Yisra’el, for a gin and for a snare to the inhabitants of Yerushalayim. 15 And many among them shall stumble, and fall, and be broken, and be snared, and be taken. 16 Bind up the testimony, seal the Torah among my Talmidiym. 17 And I will wait upon YAHUAH, that hides his face from the house of Ya`aqov, and I will look for him. 18 Behold, I and the children whom YAHUAH has given me are for signs and for wonders in Yisra’el from YAHUAH TSEVA’OT, which dwells in Mount Tsiyon. While it is possible to be disobedient to the law (chôq) for Ya’aqov which is the everlasting covenant to Yisra’el by denying the birthright, the more likely candidate here for the meaning of the phrase “the word” is the Torah. MASHIACH is a stumbling stone for those who have not bound up the testimony (of MASHIACH) and sealed the Torah in their hearts, minds, and souls. But ye are a chosen generation, a royal priesthood, a holy nation, a peculiar people; that ye should show forth the praises of him who has called you out of darkness into his marvellous light: 10 Which in time past were not a people, but are now the people of ELOHIYM: which had not obtained mercy, but now have obtained mercy. Well, okay. How about those who have not bound up the testimony and sealed up the Torah? My people are destroyed for lack of knowledge: because you have rejected knowledge, I will also reject you, that you shall be no priest to me: seeing you have forgotten the Torah of ELOHAYCHA, I will also forget your children. To the Torah and to the testimony: if they speak not according to this word, it is because there is no light in them. 21 And they shall pass through it, hardly bestead and hungry: and it shall come to pass, that when they shall be hungry, they shall fret themselves, and curse their king and their ELOHIYM, and look upward. 22 And they shall look unto the earth; and behold trouble and darkness, dimness of anguish; and they shall be driven to darkness. For the Torah of the RUACH of life in YAHUSHA HAMASHIACH has made me free from the instruction of sin and death. 3 For what the Torah could not do, in that it was weak through the flesh, ELOHIYM sending his own Son in the likeness of sinful flesh, and for sin, condemned sin in the flesh: 4 That the righteousness of the Torah might be fulfilled in us, who walk not after the flesh, but after the RUACH. 5 For they that are after the flesh do mind the things of the flesh; but they that are after the RUACH the things of the RUACH. 6 For to be carnally minded is death; but to be spiritually minded is life and peace. 7 Because the carnal mind is enmity against ELOHIYM: for it is not subject to the Torah of ELOHIYM, neither indeed can be. 8 So then they that are in the flesh cannot please ELOHIYM. This is not difficult to read or to understand. The righteousness of the Torah is fulfilled in those who walk after the RUACH. 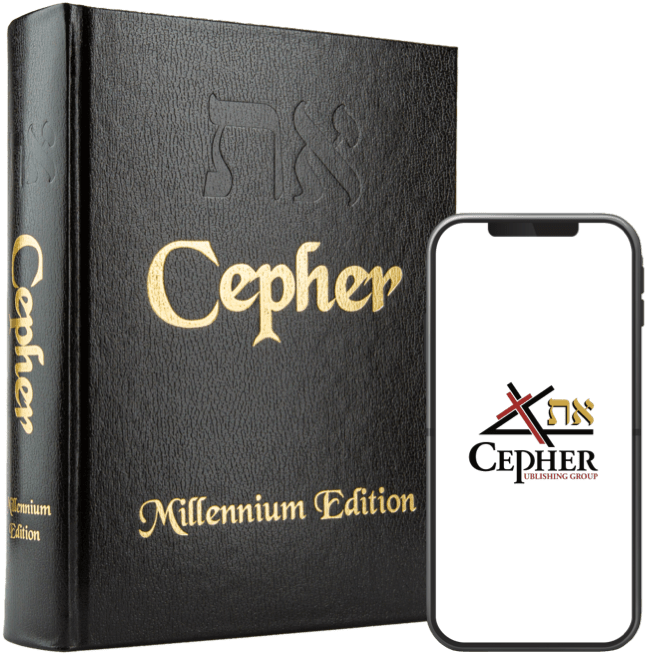 Those who are not subject to the Torah, are those who are carnally minded and who walk after the flesh, and, it is written, they cannot be subject to the Torah. Finally, Sha’ul indicates that those that are in the flesh cannot please ELOHIYM. It should surprise no one, then, that those who proclaim that they are not “under the law’ which to them means not subject to the Torah, will be found serving the flesh and be carnally minded.